Killzone PS Vita Information Leaked? My sons and my daughters, today we take the first step toward our imperial future. For years, this once-great nation has stagnated in the shadow of its enemies. Governed by scoundrels who flaunted the ideals established by my father, these traitors… these enemies of our race have diluted and exploited the triad of Duty, Obedience, and Loyalty. This regime, this corrupt regime, has been dissolved. In its place does rise an era of stability and strength. A time of opportunity born from a promise that we shall return our people to their proper sphere of dominance. 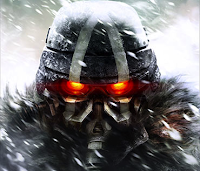 "Duty, Obedience, and Loyalty" are the three virtues of the Helghast Triad. Our source says, these lines were written for a woman, who has ties to a Helghan Autarch. We’re speculating here, but the speaker might be Aurarch Visari’s daughter. Keep in mind that this is all speculation and none of this might be true. Do you think that this teaser is for Killzone 4 or Killzone PS Vita? Let us know in the comments below!